My skin-care routine...simple? What? 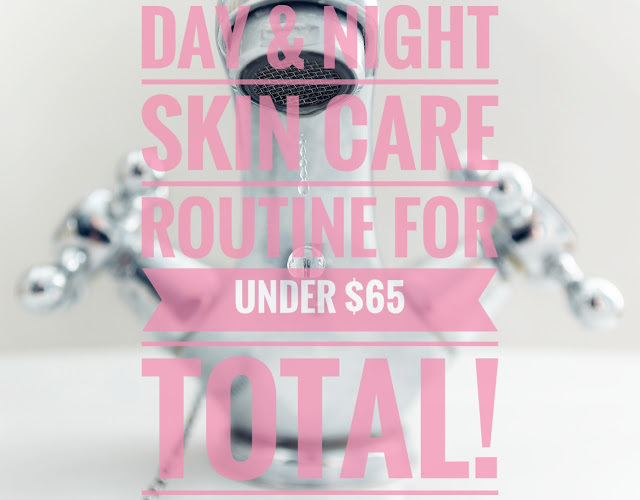 If you've been following my skin care for a while, you know that my routine is usually anything but simple. I like to use ALL of the products. But recently, my skin revolted. And it was right before a trip out of state...to see family...at a wedding. Really? "I promise, guys, my skin isn't usually this awful, it just randomly decided it hates almost everything I use." I mean there was rough skin texture, there was acne, there was discoloration, there was scarring- it was an absolute mess. So, at first, I stopped using the Philosophy Renewed Hope in a Jar Overnight. If you saw my previous skin-care routine post, you know that I had been using this night cream for months. But, normally night creams are the culprit in these types of situations with my skin. So I stopped using it. And started only using the Ole Henriksen Sheer Transformation Cream. My skin got better but was still pretty wild. So I did what would be the closest I'll ever come to doing a true skin detox. I started over when it came to skin care. 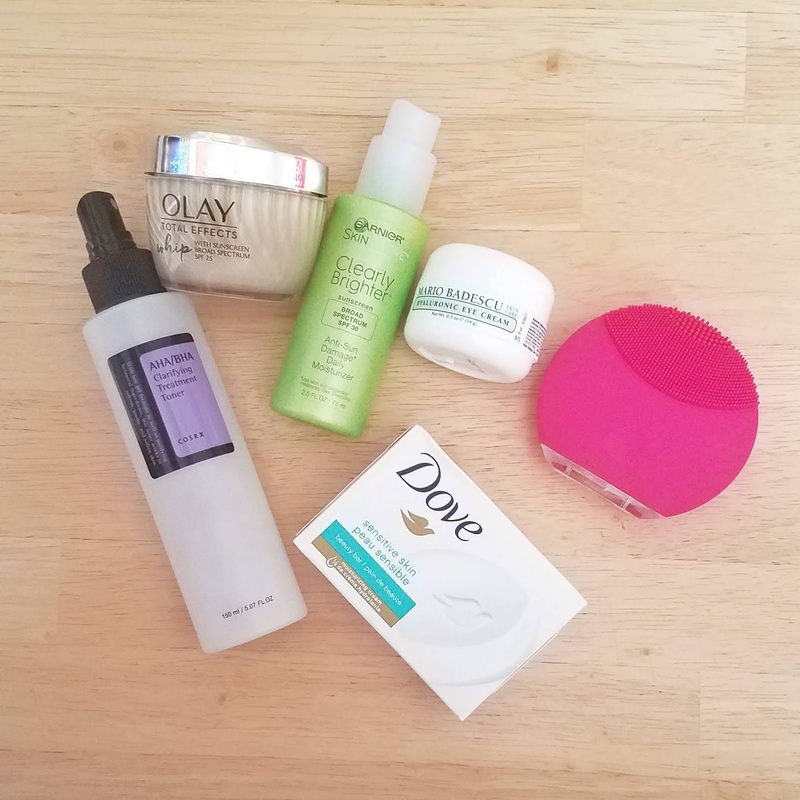 I decided to whittle my routine down to three steps, try to use a gentler face cleanser, and limit myself to one glycolic acid product. I was pretty sure I had severely thrown off the PH of my skin with all of the products I was using. Especially since a lot of them contained glycolic acid. Yep. Something as simple as a bar of Dove soap. I was skeptical about this FOR YEARS. I have family members who use this Dove bar on their face and swear by it. But the "1/4 moisturizing cream" aspect always made me wary. I thought, without a doubt, this soap would break out my skin. But...surprise! It doesn't. And it's also super affordable. I use it with my Foreo luna mini day and night. I kept this in my lineup. I REALLY like this toner. And it's so hard for me to find a toner I even like at all. Basically, I just spray the toner on my face after cleansing morning and night and let it air dry. Nothing crazy! I'll be honest. I wasn't willing to try anything new when it came to moisturizers. So I went with my tried-and-trues. The clearly brighter moisturizer is oil-free, with vitamin c, and SPF 30. And my skin doesn't break out using it. Does it make my skin look brighter? Maybe? I'm not sure. But it's an oil-free, SPF 30 moisturizer that doesn't irritate my skin. Ok, I know I said I wasn't trying anything new moisturizer-wise. But wait! I can explain! I can explain how this isn't really completely new for me. Yes, the Olay Whips line is fairly new, however, I have used the Olay Total Effects Night Cream in the past. The only thing that steered me away from it was the fact that it was a little too rich for me to use it long term. So the whips version seemed like the perfect solution. And it has been. I've seen reviews where people complain that the texture isn't technically whipped (as in whipped cream, I guess? I'm not sure exactly how they would be able to achieve that texture in a jarred beauty product.) So I'll give you a heads up that the texture is more of a delightful cream mixed with gel. It does leave a matte finish. So if you are looking for dewy skin from your night cream, this wouldn't be for you (try the original non-whipped version). **As I was taking photos for this post, I noticed I accidentally bought the SPF version of this moisturizer when I repurchased! Oops! I've been using it at night without any problems (and have used the version without SPF), but if you're looking for a day moisturizer, the SPF version may be a great option! Ok...so this is technically a fourth step. But one I only do at night. And, honestly, at times I forget this step. This eye cream is so moisturizing but light at the same time. A little goes a long way. This $18 container usually lasts 2 or 3 months for me. And, yes, I do notice a difference in how my undereye area looks when I forget to use it for a few days. For now anyway. I do want to add a product to help even my skin tone. Stay tuned!